WELSH BOXING stars, Andrew Selby and Joe Cordina have welcomed the British Lionhearts’ decision to stage its World Series of Boxing (WSB) match against the France Fighting Roosters in Wales. The Lionhearts will take on the Roosters at the Newport Centre on Saturday 14 April 2018 in a top-of-the-table clash to decide who will finish the regular season as winners of the European Group of WSB. Tickets for the match are on sale now, priced £15.00 (plus £1.50 booking fee) at www.gbboxing.org.uk/tickets. 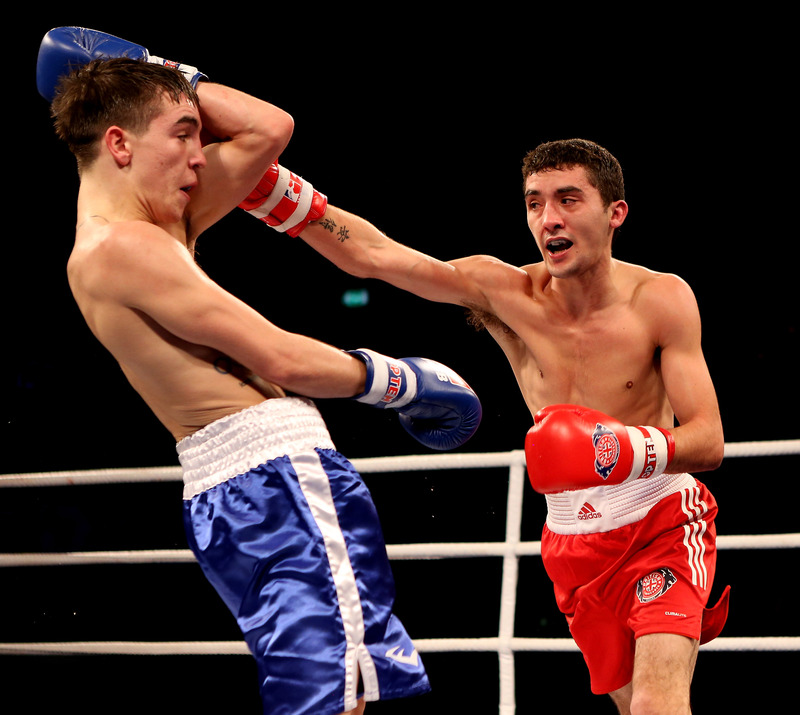 Selby and Cordina both boxed for the Lionhearts during their successful amateur careers as part of the GB Boxing squad. The pair are fans of the five round, WSB format, which bridges the gap between amateur and professional boxing, and have predicted it will go down well with boxing fans in Wales. Flyweight Selby, who won nine of his 10 contests over three season of competing in the WSB, said: “I loved boxing in WSB. When I was at GB Boxing, we always competed abroad, so to box at home in the WSB – where there was a bit more show with the ringwalk and the day before weigh-in – was brilliant. “The atmosphere at the WSB matches I took part in was always brilliant. I recently boxed at York Hall in a pro-show and, to be honest, the atmosphere was better when I competed in the WSB. “The thing about WSB is it really is the best boxing the best. In one match, I boxed Michael Conlan, which would sell-out an arena now. “In another, I competed for the Lionhearts against Ukraine and a team which featured Vasyl Lomachenko and Oleksandr Usyk, who are now rated as two of the best boxers in the world. Lightweight star Cordina, who will box on the Anthony Joshua show at the Principality Stadium in Cardiff on 31 March, was the first ever boxer from Great Britain to compete in WSB, when he defeated Eric Fowler in the Lionhearts WSB debut against the USA Knockouts in Orange County, California in November 2012. 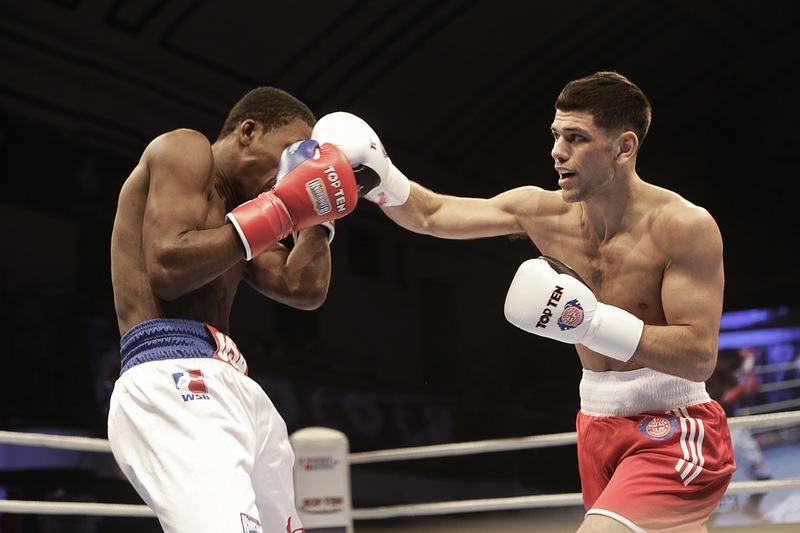 Cordina said: “WSB was a really good experience for me and definitely helped me to develop as a boxer. I was the first British boxer to compete for the Lionhearts in the team’s first ever match in the competition in the USA in 2012 so it’s nice to have that bit of history. “Whilst I loved tournament (amateur) boxing, WSB was a bit different. It was a bit more pro-style and there is definitely a lot more show with the events which is good for the boxers and the fans. You have a weigh-in the day before and a ringwalk on the night, so the events are an enjoyable thing to be part of. “The quality of the boxing is very high and most of the boxers in WSB are top-class. The bouts are over five rounds and it’s very high energy and you can’t just hit and run. Now that I am a pro, I really appreciate the experience of having competed in WSB as it helped to prepare me for the differences between amateur and pro boxing. The match on 14th April is expected to decide the winner of the European group of WSB as the Lionhearts look for revenge after narrowly losing the away fixture 3-2 in Paris in their first match of the season. The Lionhearts have selected a squad of nine for the match, which they will narrow down to a team of five at the start of April. The squad is made-up of six members of the GB Boxing squad and three overseas selections and includes flyweight, Will Cawley, and super-heavyweight, Soloman Dacres, who are both unbeaten in WSB. The WSB match will be preceded by a four bout undercard of amateur boxing featuring Wales versus England. The undercard contests will take place under amateur boxing rules (3×3 minute rounds) before the five-bout WSB match (5×3 minute rounds). The Welsh team is: Billy Unsworth (Shotton ABC), Rhys Edwards (Rhonnda ABC), Connor Burns (Llandudno ABC) and Jordan Withers (Gelligaer ABC). WSB is a team boxing competition contested by the world’s leading amateur boxers who compete without vests or headguards over five three-minute rounds. WSB matches are made-up of five bouts and the team which wins three or more is the winner.